Best Latte Machine – Latte’s are the perfect blend of great tasting coffee and delightfully frothy milk – and who doesn’t love to add a little added flavour to mix things up a bit! And especially today, in an age where convenience really is key, coffee-consumers far and wide are looking for the best way to bring that coffeehouse experience of their favourite drink into the comfort of their own home – or office. But we’re not just content with utility and mere functionality, we want simplicity, versatility and the extra little something – that’s going to make our coffee machine stand out from the rest. So, we’ve put this little review together to give you an idea what’s out there! What is a Latte Machine? A quick google search will inform you that ‘latte’ is the shortened form of the term – ‘caffè latte’, which means ‘milk coffee’. 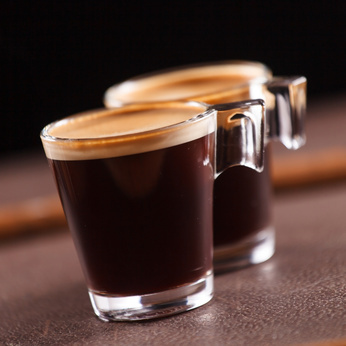 Typically a latte is made with a shot of espresso – concentrated coffee, with steamed milk and with added layer of foamed milk on top. The best of the current latte machines now produce the coffee and milk automatically at the same time, to save on time, effort and post-brewing cleaning. Convenient – as mentioned above, arguably the biggest attraction for these machines is the convenience, not only are they available in a kitchen, breakroom or surface-top space nearby, but often just with the click of a button, you can have your favourite drink, freshly brewed within minutes (or even seconds). Competitive – not only the quality of taste and freshness of the brew is competitive with the coffeehouse experience, but the affordability can be so reasonable that it seems ridiculous not to! Central – in today’s society coffee is such a central part of socialising and interacting – from the formal board meeting to the casual catch-up, a coffee maker is becoming a central feature in any kitchen or office space everywhere! I would definitely describe this Mr. Coffee Cafe Latte Maker as a safe bet. At a very competitive price and included recipe book – with 20 exciting flavours for you to experiment with, it offers you both the variety, as well as the quality of the coffeehouse chains in the comfort of your own home. You’re guided through an easy-to-follow 3-step plan in which you simply add all the relevant ingredients – hit the button, and the machine does it all for you. No mess, no sticky clean-ups, no hassle. It’s stylish, yet conventional in design and functionally versatile. 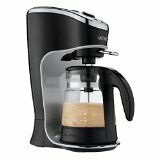 → Get the Mr. Coffee BVMC-EL1 on Amazon! 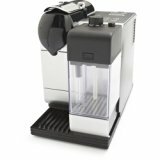 DeLonghi’s reputation in the coffee making business is well-respected and just a quick glance, not only of this Lattissima Plus Nespresso Capsule System’s unique and modern design but the detailed list of functions and options, will leave you in no doubt as to why that is the case. From the programmable option to save favourite drinks, to the series of coffee – and milk options; the self-cleaning function, incredibly fast heat-up time of just 40 seconds and even the illuminated buttons will have you oohing and ahhing. And all neatly compartmentalised in this stylish product – and included start-up kit. It does comes at a price – but arguably a price worth paying for this kind of quality. 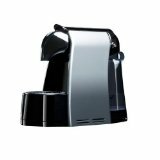 → Get the DeLonghi Silver Lattissima on Amazon! This Nescafe Alegria 510 Barista Coffee Machine is designed to go the distance. This isn’t for your one-cup-a-day, every other day drinkers. Ideally suited to a small office/business environment, with attractive smooth, oval-shaped, compact design, which would fit practically anywhere, this machine includes a patented aroma lock cartridge. Saving valuable time without needing to continually refill with coffee – it’ll serve between 40-120 cups (depending on mixes) before needing a top-up. However, it must be noted that this machine only takes Nescafe Alegria 510 coffee, which could be considered limiting on the one hand, but on the other, promises to produce the goods time and time again – and at an affordable price. → Get the Nescafe Alegria 510 Coffee Machine on Amazon! Is it a bird? Is it a plane? No. It’s a DeLonghi Dolce Gusto Coffee Machine. This machine will certainly turn heads, with its very non-subtle design, illuminated LED-function lights and mechanical lever. And it’s no surprise that the designers at DeLonghi have gone above and beyond to uniquely add little features (equally uniquely named) to make this coffee machine stand out from the rest. For example, the Circolo Flow Stop ensures that water is not poured when the machine detects there’s no capsule in place. No preheating required with the installed Thermo Block Heating System and users can choose up to seven serving-size options moving the mechanical lever to the relevant display. If you’re looking for something a little (or a lot) different, maybe this is the coffee machine for you! 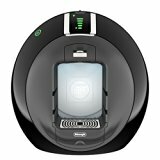 → Get the De’Longhi Dolce Gusto Circolo Flow Stop on Amazon! The SpressoLuxe Espresso Capsule Brewer is really tailored to customers with a very specific taste. Immediately your attention is drawn to the unique, modern and compact design and functioning lever, which adds a particularly mechanical quality to the overall feel. But don’t be fooled into thinking it’s all bark and no bite – hidden within is 19-Bar’s worth of pressure, so it packs a punch! Although, the settings allow you to brew Americano size coffees the capsules are specifically tailored towards espressos. But still offers a certain versatility in terms of what capsules users can add. In summary, it’s a fun-option, but when the novelty-effect wears off, I’m not sure it really has much to offer? → Get the Viante Single Serve on Amazon!